There are training patterns, final works and post positions to consider, but with the prep races finished up, it's time to begin making some tough handicapping decisions regarding the 2019 Kentucky Derby. Well-timed, Brisnet on Monday made available free past performances for all horses expected to contend in the May 3 race at Churchill Downs. The PPs are listed in points order, beginning with the Wood Memorial (G2) winner Tacitus, and run through even the so-called bubbled horses who will need a few defections to make the field -- in case you're holding out hope for colts like Anothertwistafate, Signalman and Bourbon War. In addition to providing recent running lines, Brisnet PPs rank contenders on speed and pace figures, plus detail running styles. Don't miss the ultimate comments, either, which point out key stats for each horse. Six Kentucky Derby contenders earned triple-digit Brisnet Speed Ratings in their last races: Tacitus (103), By My Standards (102), Maximum Security (102), Spinoff (102), Vekoma (101) and Tax (101). Vekoma leads Brisnet's "Prime Power" rankings, while Maximum Security, known more for his early speed, registered the top Late Pace figure from his most-recent race. See the PPs below, with a printable version also available. Get Horse Racing Nation's Kentucky Derby Super Screener now for full field handicapping of America's biggest horse race. 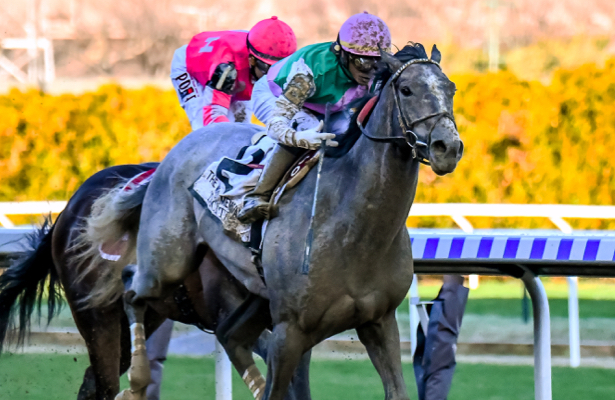 Expert Mike Shutty's time-tested, data-driven approach is designed to help you cash big on the first Saturday in May, isolating which horses can safely be tossed from tickets, and which longshots you can't ignore. 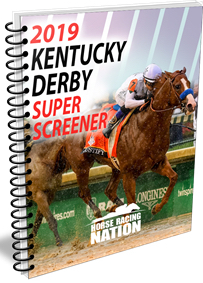 With this Derby wide open, get the Super Screener advantage today!